Cliff Josephy Wins Event #9: $3,000 No-Limit Hold'em Shootout ($299,486)! 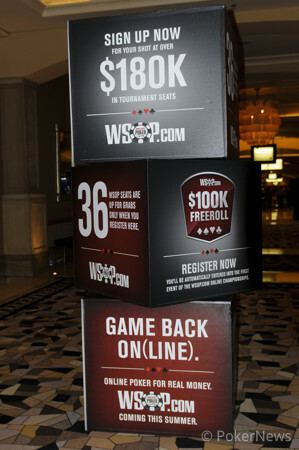 Event #9, the $3,000 No-Limit Hold'em Shootout, began with 477 players. Ten players made it to Day 3 with a chance to claim a World Series of Poker gold bracelet. It wan an impressive bunch that included four bracelet winners, but only one would emerge from the tournament with three single-table wins. 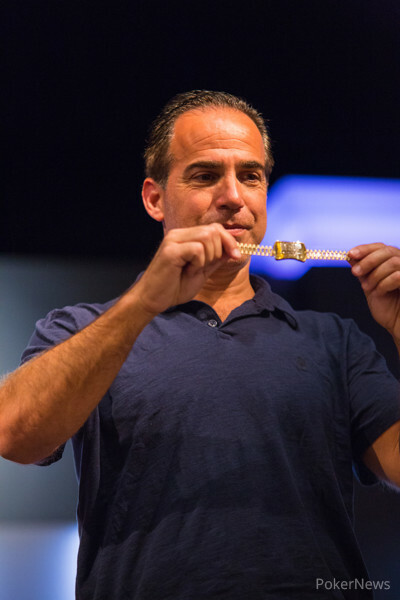 That man was Cliff Josephy, now the proud owner of two WSOP bracelets (the first coming in 2005 in a $1,500 Stud tournament for $192,150). Each final table participant began with a similar chip stack of about 71 big blinds to begin the final table. Despite jumping out to an early lead, Bulgarian Simeon Naydenov was the first to fall. After he doubled up David "Bakes" Baker on Hand #20, Naydenov fell on Hand #34 when he lost a race against Evan Silverstein. The next player to fall was Ryan Hughes when he lost a coin flip against Chris Klodnicki 34 hands later to exit in ninth place. Josephy was in sixth place at the time and after he doubled up through Baker on Hand #74, Josephy would hold the chip lead for just about the rest of the way. He extended his lead by taking out Chris Klodnicki in eighth place and Max Steinberg in seventh place, before taking a back seat to seeing former chip leader David Baker fall to Steven Silverman in sixth place. In a five-hand span, Josephy dispatched of Alessandro Longobardi and Tim West in fifth and fourth place, respectively to enter the dinner break with 65% of the chips. 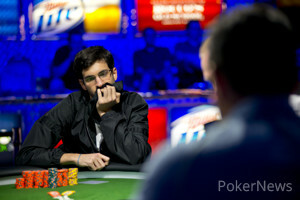 Evan Silverstein doubled on the first hand following the dinner break through Josephy and then eliminated Steven Silverman in third place to close the gap on Josephy. Heads-up play began with Josephy holding a slight lead over Silverstein and 46 hands later, Josephy sealed the deal and captured his second WSOP bracelet. 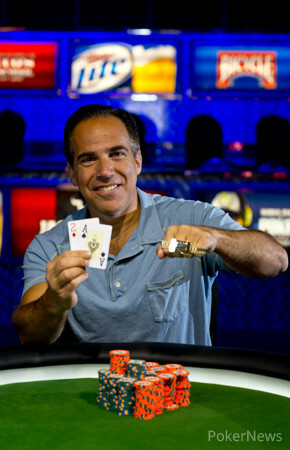 Hand #217: On the last hand of heads up, Cliff Josephy raised to 60,000 from the button. Evan Silverstein raised all in. Josephy asked for a count, then made the call for 680,000 total. The flop was huge for Silverstein, making him the favorite. According to the PokerNews Odds Calculator Silverstein was a 66% favorite to win the hand. The on the turn was not one of those outs though, and Silverstein was still looking to catch up. It was the on the river that sealed the deal and gave the victory to Josephy. Hand #215: Josephy raised to 60,000 and took down the pot. Hand #216: Josephy got a walk from Silverstein in the big blind. Hand #206: Silverstein raised to 70,000 and won the hand. Hand #207: Josephy raised to 60,000. Silverstein reraised to 165,000 and Josephy folded. Hand #208: Silverstein raised to 70,000 and took down the pot when Josephy folded. Hand #209 Josephy raised to 60,000. Silverstein reraised to 165,000. Josephy thought about it for a bit before folding. Hand #210: From the button Silverstein raised to 70,000. Josephy made a reraised to 195,000. Silverstein folded. Hand #211: Josephy folded on the button and Silverstein took a walk in the big blind. Hand #212: Silverstein raised to 70,000 on the button and won the hand. Hand #213: Josephy raised to 60,000 and took down the pot. Hand #214: Silverstein raised to 70,000 from the button and was called by Josephy in the big blind. On the board, Josephy bet out 90,000. Silverstein made the call. The turn was the . Josephy checked as did Silverstein. On the river, Josephy checked again. Silverstein bet 120,000. Josephy made the call and showed an to beat Silverstein's . After the hand Jospehy declined a beer from his rail and smiled. The yellow T1,000 chips are being raced off as the blinds and antes are upped to 15,000/30,000 with a 5,000 ante.